William Crawley with the religious and ethical news of the week. Moral arguments and perspectives on stories, familiar and unfamiliar. More than 260 alleged victims of a baby-trafficking network in Spain begun under the dictator General Franco are demanding an investigation. How much was the Catholic church involved? 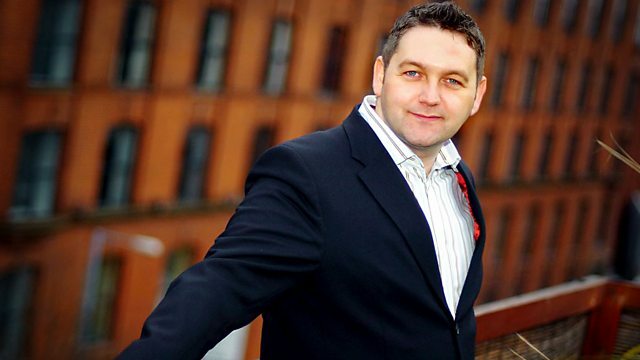 William Crawley talks to the BBC's Sarah Rainsford in Spain. Matt Wells reports on the radicalisation of Muslims in the USA which is being compared to McCarthyism. Cafod's regional Manager for West Africa and Great Lakes, Antonio Cabral talks about the humanitarian crisis sweeping the Ivory Coast as large numbers of Ivorian refugees flee the current conflict. When William and Kate walk down the aisle at the end of the month they will be joining 1000 years of history linking the Crown to Westminster Abbey. In the first of a series of audio postcards from 4 different perspectives, Professor Diarmaid MacCulloch looks at how the former Benedictine Abbey become a place where Monarchy, Church and Parliament have interacted for a thousand years. Middle East Expert Professor Paul Rogers has just returned from a US State Department Conference in Dubai trying to work out what happens next in the region, he shares his thoughts on the Middle East's future with William Crawley. After 24 people died following two days of protests in Afghanistan in the wake of the burning of a copy of the Koran by a fundamentalist Christian church in Florida, William talks to Joel C Hunter, a pastor in Florida and a leader within the National Association of Evangelicals, to ask him how he reacted to the news that a pastor had burned a Koran. William also reflects on the violence in Afghanistan which resulted from the Koran burning with the former bishop of Rochester, Dr Michael Nazir-Ali, and he is joined by historian and analyst Professor Iftikhar Malik from Bath Spa University, to discuss what role the Taliban is thought to have played in these events.